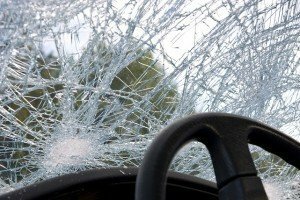 Demonstrative evidence can be far more compelling than written evidence in your personal injury case, both when dealing with a claims adjuster and, as a NH personal injury lawyer at the Law Office of Manning & Zimmerman emphasizes, especially if the claim goes to trial. In particular, photographic documentation of the injuries you sustained in the accident should be established from the beginning. After a crash, even when a person has suffered a permanent injury, over time superficial injuries often heal and no visible evidence will be present. Without photos, it can be argued by the defense that the injuries were not as severe as you have claimed. Cuts, bruises, and swelling help demonstrate the trauma you endured. Photographs are even more important if the area of the body that was injured is not typically visible while wearing normal clothing. Creating a photographic record of the treatment and healing process is important as well. 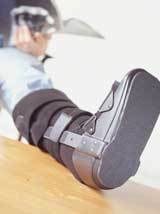 For instance, an experienced NH personal injury lawyer will recommend taking pictures of a cast while on, and immediately upon removal, which depicts not only the necessity of the cast but also the resultant atrophy and other potential scarring. Additionally, as an injured plaintiff, you have a duty to mitigate your damages, and a clear record that you actively pursued treatment shows good faith on your behalf. Depending on the nature of your injuries, your treating physician may take photos as part of your medical file. A plastic surgeon, for example, will likely have photos taken; similarly, most orthopedic surgeons use screen images taken during arthroscopy. In most instances, however, the best and most easily accomplished record is one you create yourself, or with the assistance of a relative or close friend. You need not be a professional photographer to create the record that will be helpful. The manner in which evidence is presented in a personal injury case can be a major factor in achieving a positive result in your claim. For questions at any stage of the proceedings in your case, contact an experienced NH personal injury lawyer at the Law Office of Manning & Zimmerman PLLC at (603) 624-7200. According to the NH injury attorneys at the Law Office of Manning & Zimmerman PLLC, a principal goal of the civil justice system is to fairly compensate injured victims for the injuries they sustained as a result of someone else’s negligence. The purpose of a jury verdict of damages is to compensate you for the harms and losses suffered and to hold the defendant accountable for these damages so that the defendant and others will be more careful in the future – protecting us all. * Prosthetic devices, canes, walkers, etc. If you have been injured through no fault of your own, contact the NH injury attorneys at the Law Office of Manning & Zimmerman PLLC for a free consultation at (603) 624-7200. It is very common for a personal injury lawyer Manchester NH to encounter clients who have suffered from what is commonly thought of as “whiplash.” This type of injury, which might also be referred to as a cervical sprain/strain or a hyperextension injury, is considered the most common type of injury to the muscles and ligaments of the neck that occurs in a crash that forces a person’s head to “whip” back and forth. This type of injury is very common in automobile crashes, but it can also occur in slip and fall events, during a physical assault, or even in a sports-related injury. “Whiplash” is sometimes thought of as a negative term for these types of injuries. Many people associate the term with a non-serious injury. Unfortunately, these injuries can be very serious and lead to additional physical problems. If these symptoms occur, you should see a medical specialist to have your neck examined and treated. These specialists may include a neurologist, a neck and back specialist, an orthopedic, or a chiropractor. Your neck and back will be carefully examined and a determination will be made as to what is causing your symptoms. 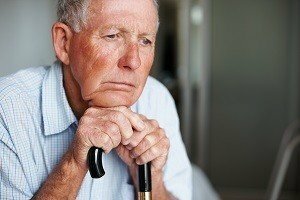 Your medical care provider may require you to immobilize your neck with a brace, take medications, or attend physical therapy for your injury. It is very important that you comply with all medical advice and treatment plans so that you can maximize the chances that you will make a full recovery. In many cases, a person who suffered from a whiplash will experience relief within a few weeks, and make a full recovery in a few months. More severe cases may require extended medical care. Your personal injury lawyer Manchester NH at the Law Office of Manning & Zimmerman PLLC will also recommend that you seek any additional medical care necessary when you have received a neck or back injury of this manner. 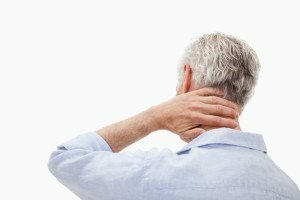 Whiplash may seem like a minor injury, but it can leave you very susceptible to additional neck and back injuries and other physical problems if left untreated. If you have been injured in a crash that is the result of another person’s negligent actions, you are encouraged to call the Law Office of Manning and Zimmerman PLLC. 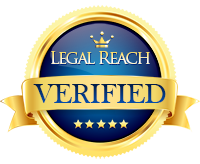 One of their attorneys will gladly look over the facts of your case and provide you with the next steps in seeking medical care and compensation. Call us at (603) 624-7200 to speak with one of our personal injury lawyers about your case. Our Manchester car accident attorney may have experience dealing with very different insurance companies with very different approaches to claims. Some high-end car insurance carriers attract customers with low premiums and readily identifiable mass marketing. If you constantly see television commercials, web ads or newspaper ads with these companies, it is likely that the insurance company adopts a conservative approach to claims. They are able to afford such marketing and lower premiums due to this characteristic. In contrast, if you are dealing with an insurance carrier whose name you may not recognize, it is more likely that it is a mid-sized insurance company. Such companies often have a much more reasonable approach when handling claims. You may be able to pursue your claim with the help of a Manchester personal injury lawyer and receive fair compensation of your claim without having to step foot into a courtroom. Our Manchester car accident attorney can explain that some of these mid-sized companies are national while others are regional. They may be characterized as companies that usually resolve cases outside of court. They may even recommend mediation over a lawsuit in order for the insurance adjuster to see the strength of a victim’s case. Due to the different approach and philosophy of the insurance company, a Manchester car accident lawyer can explain that the adjusters who work for these companies often contrast markedly from adjusters who work for large, conservative insurance companies. Representatives of large insurance companies may quickly deny valid claims. They may not respond to threats of a lawsuit. They know that their insurance company has the resources at its disposal to battle small claims in order to prevent the company from getting a reputation as a constant settler. In contrast, adjusters who work for mid-sized insurance companies may be more receptive to information. They may carefully review documentation supporting the victim’s claim. An attorney who is used to battling with large insurance companies may mistake the cooperative nature of the mid-sized insurance company adjuster because the experience is very distinct from the hassle that he or she is accustomed to. He or she may mistakenly believe that the insurance adjuster is playing hardball when this may not be the case. However, an experienced attorney knows that the adjuster for the mid-sized company must be approached in a different manner. Insurance adjusters and personal injury attorneys may be able to work together to create an acceptable result. Sometimes an insurance adjuster may seem that he or she is ignoring the claim. This may not be the case. The adjuster may be busy with other claims. He or she may be overloaded with work. Often, the Manchester personal injury lawyer and the insurance adjuster can reach a settlement after they both explain their philosophies concerning accident claims and their positions. If you would like more information about reasonable mid-sized insurance companies, contact a Manchester car accident attorney from the Law Office of Manning & Zimmerman PLLC at (603) 624-7200 and schedule a confidential consultation. If you suffered injuries in a motor vehicle collision, you should contact a personal injury lawyer Manchester after seeking medical attention. Depending on the collision and your injuries, you may be entitled to compensation. With millions of people commuting every day, vehicle collisions occur frequently. The following information from a personal injury lawyer Manchester discusses the most common type of injuries sustained in vehicle collisions – injuries to the body’s soft tissues. 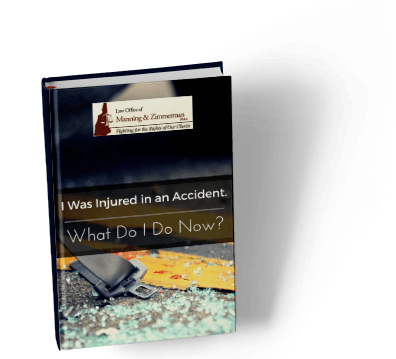 If you have any questions after reading the material, contact a personal injury lawyer Manchester at the Law Office of Manning & Zimmerman PLLC for a free initial consultation. Soft tissue injuries often leave injured victims in a lot of pain and discomfort. Symptoms from soft tissue injuries can include swelling, stiffness, bruising, and soreness in the injured area. The reason these injuries are so common in automobile collisions is due to the impact of the collision, causing those in the vehicle to be jolted violently, depending on the severity of the impact. Seeking medical attention following a collision is very important, whether injuries are apparent or not. As discussed above, soft tissue injuries are not always apparent immediately, nor do they show up on x-rays. A medical professional will be able help to diagnose any injuries. Injury victims will need to establish medical treatment following a crash and have their injuries documented by medical professionals. This will help to prove the damages that were sustained in the collision, as well as proof of injuries. Many personal injury victims are unsure of how to proceed in a litigation case – that is why you need an experienced professional by your side, a personal injury lawyer Manchester who has the skill, experience, and integrity to help with your case. Contact a dedicated personal injury lawyer Manchester at the Law Office of Manning & Zimmerman PLLC at (603) 624-7200. Call today for a free initial consultation. Even though the two parties are attempting to reach an agreement, the manner in which an insurer approaches a personal injury claim is far different than the way your personal injury lawyer in Manchester NH works. Yes, insurance is a business, and insurers pay a great deal of attention to the bottom line, but there are circumstances under which a settlement will prove elusive. For example, many insurance companies will defend almost every case, even relatively small ones, so as to avoid acquiring a reputation as a company that is reticent to go to trial. Additionally, an experienced personal injury lawyer in Manchester NH often sees insurers spend more to fight a case than it would pay to settle where liability is at issue. Claims adjusters typically have a heavy case load, and they are under pressure to keep the pipeline moving by closing a certain number of cases on an ongoing basis. However, this does not mean an adjuster will overpay on a case merely to avoid litigation. Although many adjuster’s use the line, “I need authority,” as a delaying tactic, the reality is that every settlement will ultimately be reviewed by someone higher in authority. While every adjuster must manage his or her case files, no one is going to risk losing their job to close a case or avoid going to court. It is your lawyer’s task to gather evidence, present the facts in a logical and succinct manner and to demonstrate to the adjuster the true value of your case. Providing that sort of thorough presentation not only allows the adjuster grounds to approve a fair settlement, it also demonstrates your lawyer is ready to litigate the case if a fair settlement offer is not made. An understanding of the stages a personal injury claim evolves through as well as the nature of the specific insurer are factors in achieving a positive result. For any questions in your case, call the Law Office of Manning & Zimmerman PLLC, a personal injury lawyer in Manchester NH, at (603) 624-7200.